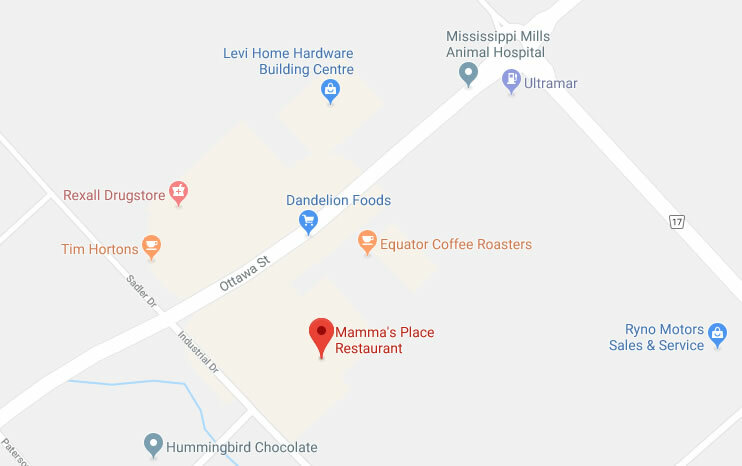 Mamma's Place Restaurant & Pizzeria – Best pizza in Almonte, Just ask your neighbour ! 413 Ottawa St, Almonte - Royal Bank Plaza (613) 256-2562 All Day Breakfast ! Best pizza in Almonte, Just ask your neighbour ! Serving Almonte since 1969, family owned and operated. Our dough is made fresh daily and our sauces are homemade. We offer a wide variety of menu options including serving authentic Italian pizza to fresh cut fries. The best pizza in town, just ask your neighbour!